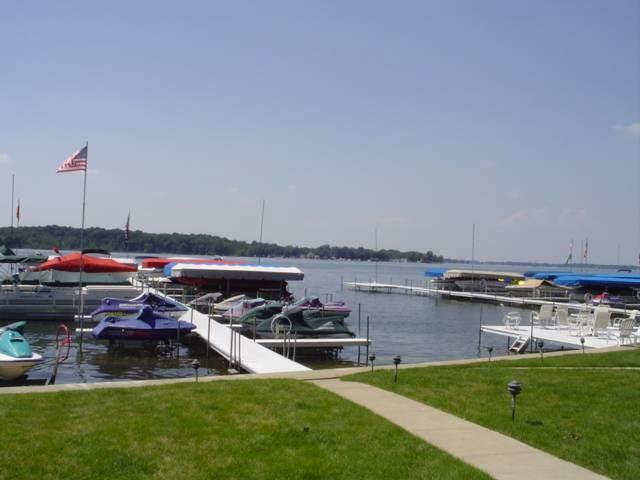 RECENTLY UPDATED 2 BEDROOM CONDOMINIUM IN ONE OF THE MOST COST EFFECTIVE COMPLEXES ON THE LAKE!. 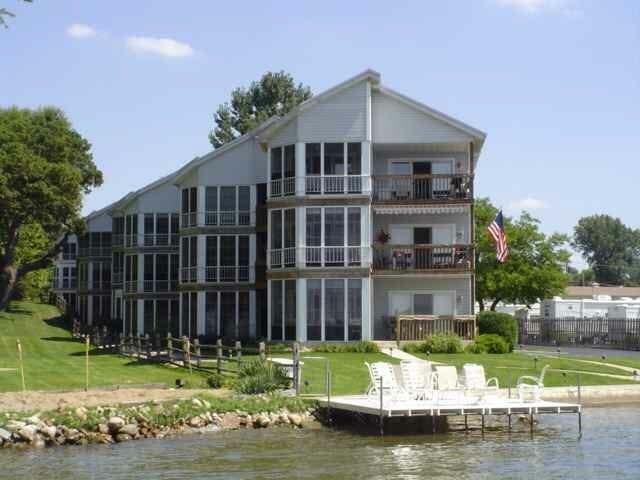 Enjoy Lake Wawasee from this charming 2 bedroom 2 bath condominium with no worries about maintenance. The vaulted ceiling in this 3rd story condo makes the living area feel open and spacious. Stainless appliances in the open kitchen, new flooring in the living room, kitchen, foyer, laundry and bath. Includes a pier spot for your boat. 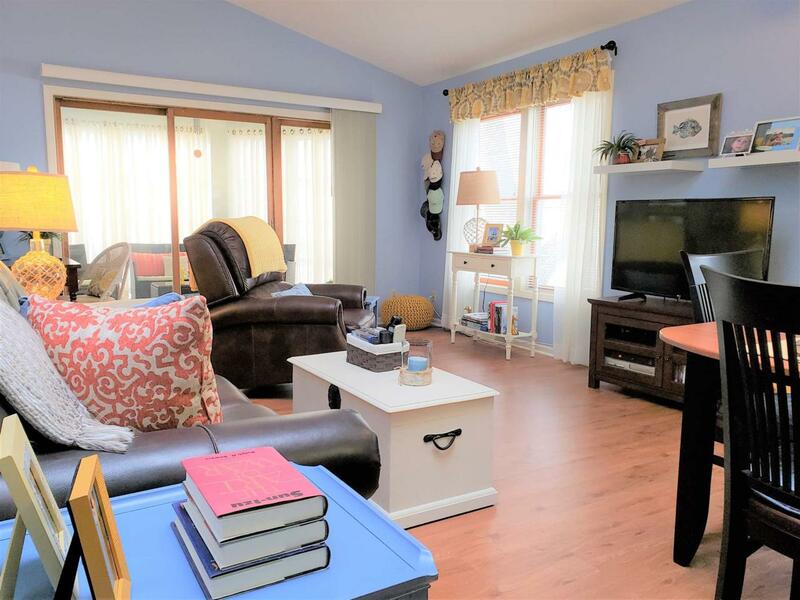 Come home and enjoy sitting on the deck or your 3 season porch and watching spectacular sunsets over Wawasee. There is a detached 1 car garage within a large secured area for storing your boat off season if you desire. A great place to be year round or as a retreat from the hectic city life. Low maintenance fees include outside maintenance, pier in and out, snow removal and more. Enjoy the largest natural lake in the state at a minimal price. Pet friendly complex.